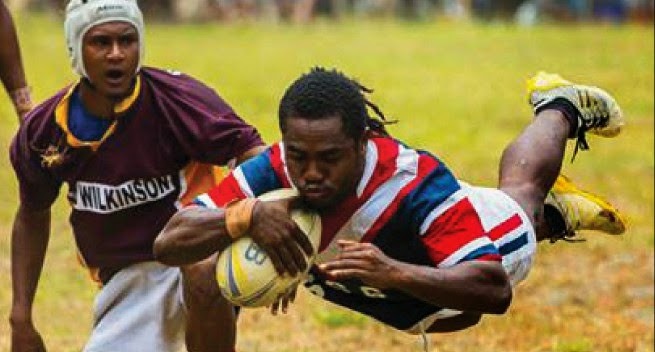 A Papua New Guinea select side will take part in the annually staged Cabramatta 9s tournament in Sydney on January 31. The side is filtered with a host of emerging talent including southern zone evasive utility back Dickson Amea, Kokopo’s John Ragi from the talented Ragi family and Motu Koita’s first real star for a long while in Gahuna Silas to name a few. The team will be called the PNG Rugby Football League (PNGRFL) Chairman’s XV and be coached by Kumul head coach Mal Meninga and Hela Wigmen mentor and former representative player Stanley Hondina. The PNG team is being funded through the PNG Olympic Committees (PNGOC) "Go for Gold" program. As rugby league 9s will be contested during the July Pacific Games, the PNGRFL has utilised the funding to send their select side to gain valuable lead-up competition. In a statement from PNGRFL chairman Sandis Tsaka, he said they have established a database of players identified through the various programs they delivered in 2014 and the Digicel Cup. "I want to point out that this is not a national side," Tsaka said. "It is a continuation of the development and identification program we have established for the Pacific Games." "We want a wider pool of players as possible to have experience at a high level to ensure we have the best possible squad selected for the Pacific Games with the experience required to win the gold for PNG," he said. A majority of the players named were part of the successful undefeated Commonwealth Championship Glasgow 9’s team. "They deserve their selection and this tournament is a further step in their development. They get to step up and play against some quality teams in what is widely regarded as the best 9’s tournament in Australia outside of the Auckland NRL 9’s," Tsaka added. He said Philemon Kimisive who is part of the SP PNG Hunters squad has been included to give him that added experience. "At only 18 years of age, 6’3", quick, strong and athletic he will be a welcome addition," he added. The team will be based at the Penrith Leagues Club, largely thanks to the strong relationship built between the Penrith Panthers NRL Club and executive general manager Phil Gould. In other developments this month, Tsaka said they have their annual Development Officers conference at NSI in Goroka this week, the Annual General Meeting at the end of the month. While in February, they have the first round of their coach and referee accreditation courses.